We are, at last making real progress. 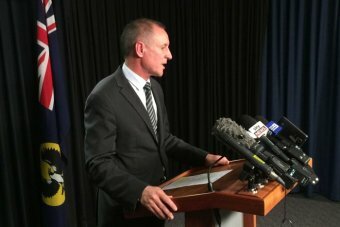 As Ben Heard explains on DecarboniseSA, the Premier of the state of South Australia has announced a Royal Commission into an expanded future role in nuclear energy. We, who are deeply concerned about making real progress towards eliminating Australia’s dependence on fossil fuels, should celebrate this advance. It is a triumph for common sense and evidence-based policy. We can make a difference, given sufficient time and effort. As expected, the news of even an investigation was immediately condemned by the SA Greens Party, and disappointingly, also by the Australian Youth Climate Coalition. The whole point of Royal Commissions is the rigorous uncovering of facts, based on solid research and deep consultation with experts, government and public representatives. What, I must wonder, are they afraid of? Sad. But, as this announcement today proved, they are becoming increasingly irrelevant. Those who can’t take the hard decisions in solving climate change, those who prefer ideology to evidence, should step aside. A big nuclear power station at Port Augusta could supply power and desalinated water to the York Peninsular and the Olympic Dam mine, as well as supplying water and power into the Eastern Australian grid. In that location it would be too far away for scaremongers to terrorise Adelaide about (non-existent) threats. No Roger, we must consider the infrastructure. Ben Heard had it right a 600 Mw Candu Nuclear reactor is about right. Congratulations J. Weathrill on having the guts to do this. We all have to be careful that the whole process is not high jacked. A very encouraging development. Ignore the evidence free zone which is the Greens Party and the AYCC. This announcement is great news for the progress of emissions mitigation in Australia. Since the first World Climate Conference in 1979 recognized that climate change due to CO2 emissions is a serious issue for human civilisation, all the important indicators have been heading in the wrong direction. Globally total accumulative CO2 emissions since industrialisation have doubled from about 1 trillion tonnes in 1979 to about 2 trillion tonnes today and are increasing at 2.5% annually (average for the past 20 years). At this rate another 2 trillion tonnes will be dumped into the atmosphere by 2050 with a further 4 trillion tonnes by 2100. CO2 atmospheric concentration has risen from 340ppm in 1979 to 400ppm today and the IPCC predicts 900ppm by 2100 under the current RCP 8.5 fossil fuel use scenario. IPCC reports and paleoclimate history shows that the consequence of these high CO2 levels is likely to be severe. No country has succeeded in replacing fossil fuels from their energy system using intermittent renewable energy. No country has succeeded in capturing and storing the carbon emissions from a large fossil fuel energy generation plant. One country, France has succeeded in making the transition from fossil fuel to non carbon energy for its electricity generation sector in just 20 years using nuclear. Today France has the same total CO2 emissions as Australia, yet its population is three times larger. If all the developed countries had followed the French lead in 1975 and replaced all their fossil fuel electricity generation with nuclear, climate change would be a small issue today. Nuclear proliferation, waste and safety have been explored at length on this forum and do not need to be repeated. The bottom line is unless a nuclear industry is rapidly developed and rapidly rolled out globally, CO2 emissions will not be reduced sufficiently and humanity faces an uncertain future. This announcement is a welcome first step in fossil carbon emissions reduction for Australia. I’m optimistic and delighted by this announcement. Here’s hoping that the enquiry into mining, processing and waste storage is widened very soon to include actual use of this stuff in Oz. I think it’s terrific. Surely the best way to safely deal with waste is to offer modulator reactors, sealed, returned intact after 30 years. We reprocess the waste, and bury the fission fragments. One thing we need to do to win the argument is educate the public as to the tiny amount of radioactivity in waste compared to natural background. What about saying at the very beginning – We recommend that an absolute limit be placed on a nuclear dump = 1% of the natural radiation in the South Australian owned part of the Earth’s crust. I make the natural radiation in SA’s crust to be 24000 EBq, so a limit of 240EBq would surely never be achieved. I hope they consider Thorium as a fuel. Yes, it’s good news indeed and long overdue. And for the good of SA, economically, socially, environmentally, when we get our politicians to actually legislate for expansion of the nuclear industry in SA [ I hope in the not too distant future], we then set about with a twenty five year plan to develop the full nuclear fuel cycle [the works] in our state. I’ve been advocating that now for ten years. Check the Adelaide Review, September 2009 for an outline of the development which should take place in SA over that time. And it’s all based on our world’s largest uranium reserves and our world’s best nuclear waste burial site. And when the nervous nellies express their disquiet to you about all of the “dangers’ etc with nuclear power, ask them one question. Why are 32 countries, including Japan continuing to generate 15% of the world’s electricity in 436 reactors. Those countries and 17 others are at present building another 70 reactors, 174 are planned and 301 have been proposed for the future? You might add that China has 28 now and has plans for another 200 reactors by 2050. Those figures are from the World Nuclear Association, October 2014 newsletter. Mel, the subject of thorium is indeed worthy, although until the terms of the Royal Commission are announced, we will simply not know how wide or narrow the focus will be. I’m not even sure that nuclear power is going to get a gurnsey, except perhaps as a side issue… the focus might be primarily or entirely on mining, ore processing, enrichment and waste storage. If so, it will be a massive step in the right direction but will leave unaddressed the whole nuclear power industry, from component manufacture to construction and operation and beyond. IT will also leave unaddressed the Federal ban on nuclear power within Australia. My impression, gained a couple of years back from a reading of Commonwealth legislation is that it is illegal to propose nuclear power in Australia. If so, the Royal Commission may be stymied at the outset if its terms include consideration of nuclear power options for South Australia. Similarly, in order to keep the enquiry within bounds of cost and political practicality, my guess is that the subject of thorium will remain on the shelf. Be wary. The anti-nuclear folks (at least, in the USA) are old experts at highjacking such processes and turning them into a platform to agitate against nuclear electricity generation. According to Wikipedia the terms of reference seem broad and represent a closed cycle from mining to waste disposal. I agree that the process will be highjacked by those who do not understand arithmetic but it is a necessary first step to emissions reduction in Australia. Bill Shorten’s reaction is hollow and predictable. The ALP has a “longstanding position on nuclear power based on the best available expert advice”. Which is code for “we will jump in front of any popular parade which will win us votes”. A few letters to Bill may be helpful, I will pen one today.